*This is going to be probably one of the most comprehensive posts I've ever done here, so be prepared for information overload! 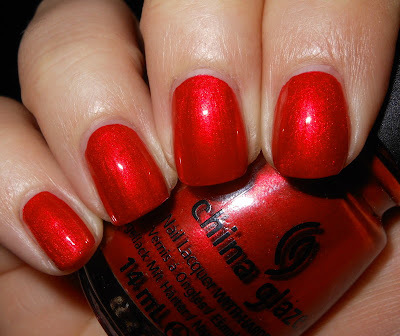 I have not been impressed with China Glaze the past few years. There collections have not moved me, and if I do pick up something new from them it's usually months after the fact. When I started seeing bottle pics of the Cirque du Soleil collection I got really excited. I loved the combination of colors. It was bright, fun, and whimsical. I heard a lot of people say these were dupey colors. I had a feeling they might of been, but I still wanted them. This collection just spoke to me...lol..it did! I ordered 9 of the 12 from an Victoria Nail Supply on Tuesday, and I received them by Friday! The polishes I did not pick up were Whirled Away, Def Defying, and Get Carried Away. I know some of these were standouts to you all, but I did not see myself using them. The rest of the colors I did purchase. Bend Over Backwards is glowing slightly orange-toned red shimmer. This is beautiful shimmer. It really glows. The application was smooth and easy to apply. I used 2 coats here. It's a Trap-eze is a white cream base with muilt-colored glitter mixed in. 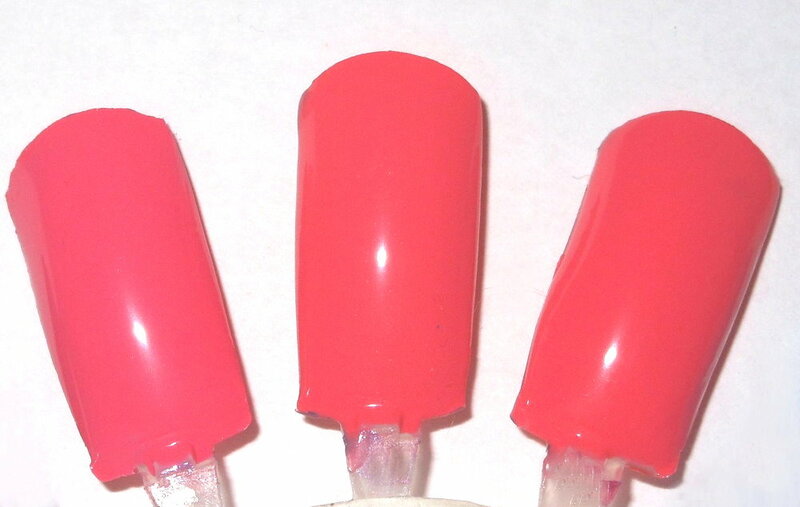 Surreal Appeal is a bright pink-toned coral creme. This is a beautiful color and a great coral. The application was good on this one too. Hanging in the Balance is a bright cerulean blue creme. I had difficulty photographing this one. It a little darker than is shown here. This a very saturated blue. The formula on this was somewhat thin, and I found it flooded my cuticles easily if I was not careful. Igniting Love is a bright slightly orange-toned red creme. Great rich bright red color with this one. The formula was perfect on it! Running in Circles is super sparkly bright green glass fleck. Stunning. Gorgeous. You need this one, it sparkles and shimmers so brightly! Escaping Reality is a neon raspberry creme. 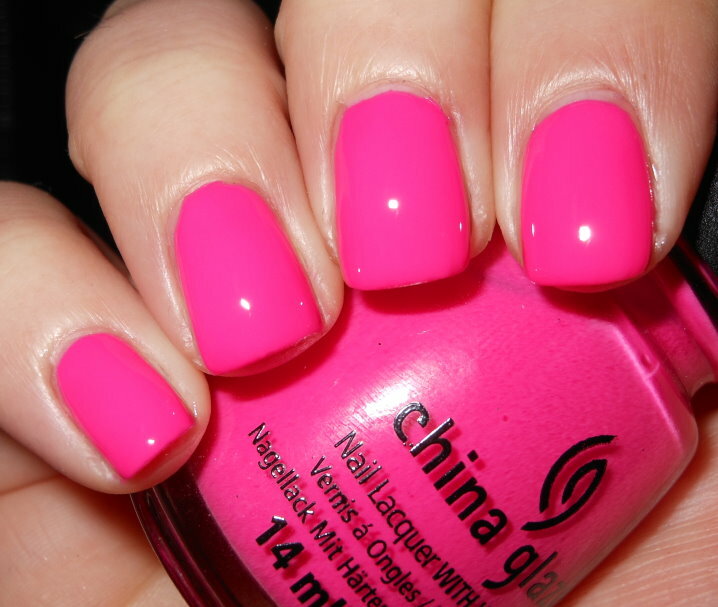 A great neon shade. I wouldn't classify it as like highlighter neon, if you know what I mean, it's not eye blaring bright. The formula on this was good. Water You Waiting For is a mixture of micro aqua, medium blue, and indigo glitter in sheer blue base. This is another beauty. I love the combination of the cool colored glitters. This was 3 coats and the formula was easy to work with. Creative Fantasy is a neon grape jelly. 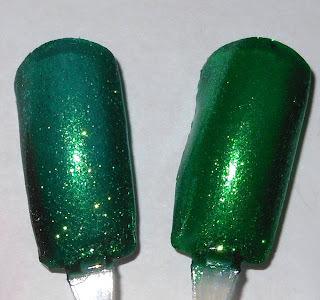 The color is awesome, but this formula is one of the worst I've come across in a polish. It is sheer, uneven, and very very messy. 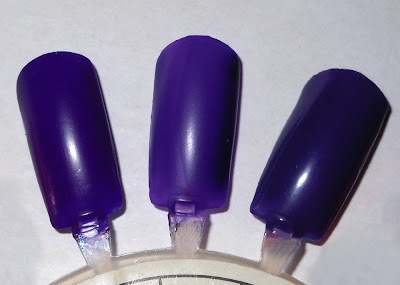 This took 4 coats, and 5 coats on my ring finger and index finger to reach opacity. It's ridiculous. It does dry matte, I don't care for that so I added top coat. These comparisons are done on nail wheels using colors I found in my collection that looked either similar or dupey to the colors in the collection. These are just the polishes I have, if you do not see something you think is similar that doesn't mean it isn't similar, it's just I do not have it. There are no dupes or similarities among these three. 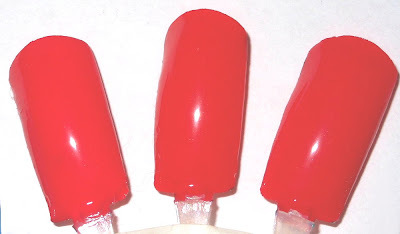 Bend Over Backwards is more red-toned and has a condensed shimmer. SC Cream Pink was the closest color I had in my collection to Escaping Reality. The difference here is Cream Pink has a shimmer, while Escaping Reality is a creme. I would say that this color is probably easily dupeable, I just don't have a comparable color in my collection. 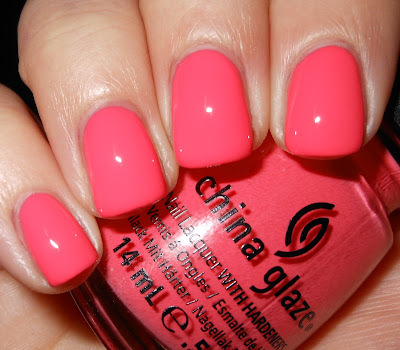 China Glaze Sugar High is more pink than Surreal Appeal. I think Avon Coral Reef and Surreal Appeal are dupes, but the China Glaze formula was easier to work with, and would probably be easier to find. 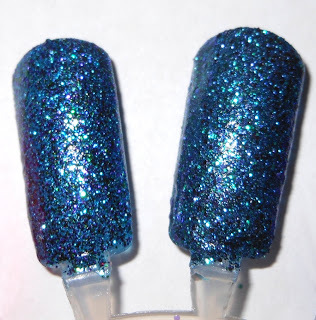 The only difference between these two is the darkest glitter in NOPI Kendall on the Katwalk is slightly more purple than the darkest color in Water You Waiting For which is more blue. The only way I noticed this is if I practically had my nose up to this polish, from a distance I could not tell a difference between the two. Urban Outfitters Bandeau and L.A. Girl Hustle are both a tinge darker than Creative Fantasy. The formulas on the Urban Outfitters and the L.A. Girl are FAR FAR superior to the China Glaze. I'd recommend purchasing the Urban Outfitters or the L.A. Girl (you can find it on Cherry Culture) instead of Creative Fantasy if you like this color. Again, these were hard to photograph. OPI Ogre the Top Blue is a tinge lighter than Hanging in the Balance, but at a distance I was not able to tell a difference at all. Color Club Chelsea blue is lighter is more neon than the others. 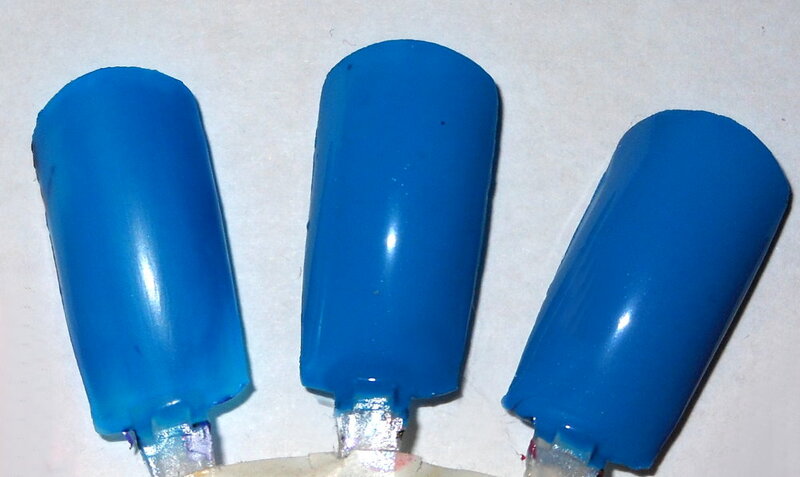 Zoya Ivanka is more sheer and more of a blue-toned green. China Glaze Running in Circles is not sheer and is more of a true green. Honestly, in real life I could not tell the difference at all between these 3. If you have either the Sinful Colors the Essie, or even a color you think is similar you do not need Igniting Love. Clearly, many of your suspicions about these being dupey colors were correct. The only color you did not see a comparison of was It's a Trap-eze simply because I have nothing remotely similar. I'd say out of the ones I reviewed I'd be comfortable telling you to get Running in Circles and It's a Trap-eze for sure. I'd say maybe on Surreal Appeal and Bend Over Backwards because while I do not have (I'm not counting the Avon because it's not as easily accessible) exact dupes, I'm not convinced these are really unique. I'd say if you love Creative Fantasy if at all possible try to find the Urban Outfitters or L.A. Girl color instead because you will be happier with the formula. Escaping Reality, Hanging in the Balance, Igniting Love are really dupeable, if you have a ton of nail polish you probably already have colors like these. You can pass on them. Am I disappointed I got these in hindsight? No not really. I really like this as a cohesive collection, and despite the bad formula on Creative Fantasy I liked the formula on the others. 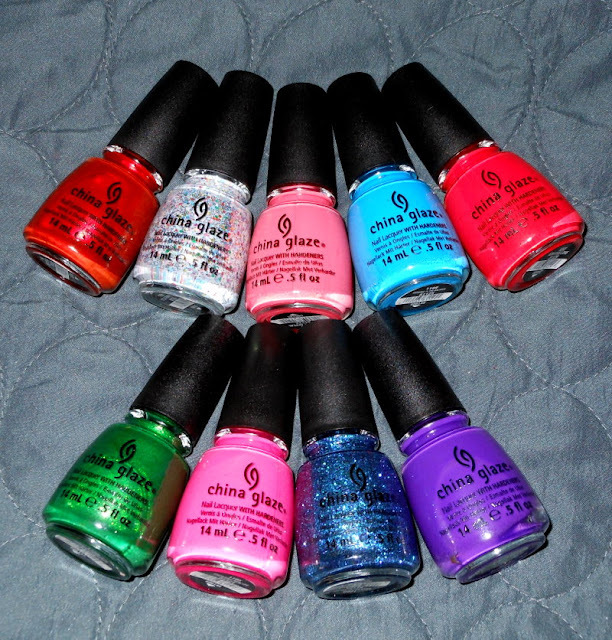 Most likely, I'd get rid of the dupey counterparts and keep this China Glaze ones. It was really fun doing a post like this, but really time consuming!!! I hope you all liked this post, and it helped saved you money! 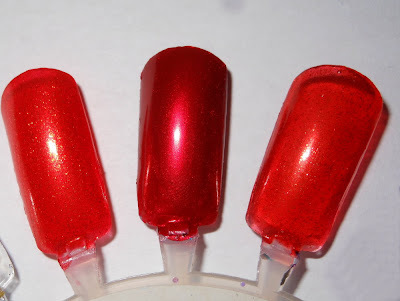 You can find more comparisons on The PolishAholic, she also has the colors I did not purchase. What a great post! Your swatches are beautiful and I the comparisons are so helpful. I was going to get Water You Waiting For, but I have Kendall on the Katwalk - thanks for saving me $8! :D And I LOVE Running in Circle, it's so gorgeous! Great, but no Carried AWay? That was the one I was most excited to see swatted@ I might just have to get It's a Trap-eze, though! Wow, this really is comprehensive, Steph--thanks for all the hard work! I'm personally looking forward to Def Defying, but I think of these I'm most smitten with Water You Waiting For and Running in Circles. I was totally geeking when I saw the bottle shots of It's a Trap-eze, but it looks like the formula isn't quite right yet. Still, love seeing a major brand dipping a toe into more traditionally "indie" waters. I don't know what it is, but I am crazy in love with this collection (including the weird glitters that you didn't get)! I'm stalking Sally's until they arrive! I agree that some of them are dupable, but I still want all 12 (hoarder, much?) hahah Thanks for the beautiful post! I totally get it! I am in love with this collection too despite the dupes! I don't know what it is either . I almost ordered these on line also but stopped short because I have been burned a lot with getting shades that were very much like many others I had, or the glitter was too big or, or or....I used to get kind of upset over so many similar shades coming out of various companies...but now I think of it as someone always new is coming to polish land and/or discovering this brand over another one and needs a shade like this or that which I would not even consider. I really appreciate your comparison photos and esp your details of how different ones here worked or did not work formula wise...that's always good input for me. You are making me want those pinks and reds I passed on nooooooooo lol!! But you were right! They're dupey! Wow!! This is such a great post!! I have been loving this collection, but now I feel like I know which ones are worth picking up. Thanks for putting so much work into this!! Thanks for a great post! I especially loved the comparisons and your final thoughts about what to get, and what to pass up. Water You Waiting For is my fav'!